These Three Tasty Recipes for Salsa Pork are all so delicious and Salsa Pork couldn’t be easier for a Taco Tuesday Dinner! It doesn’t matter whether you use the Instant Pot or the slow cooker to prepare this tasty Salsa Pork because I’m sure your guests will gobble it up and probably ask for seconds. 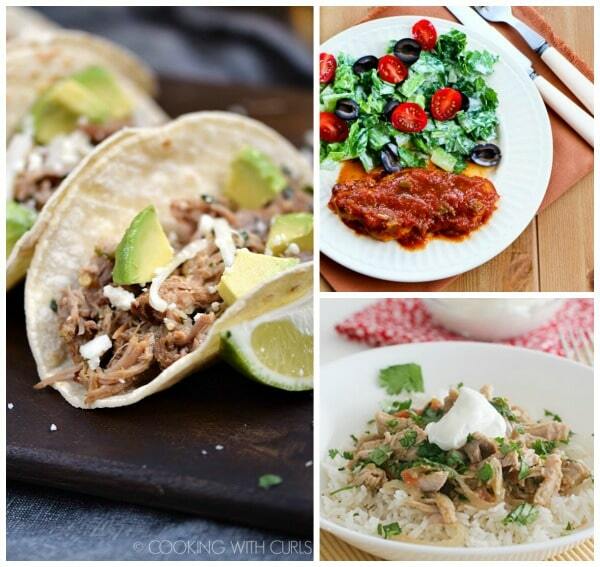 Click here to PIN Three Tasty Recipes for Salsa Pork! These Three Tasty Recipes for Salsa Pork all begin with a different cut of pork: pork roast, pork chops, or pork shoulder. No matter which cut of pork you choose, or which recipe you choose, I bet one of these Salsa Pork Recipes will be just what you’re looking for! 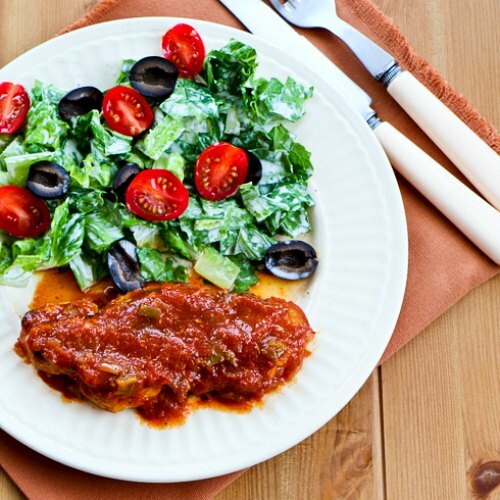 Salsa pork is such an easy dinner idea and something that would taste good any time of year. 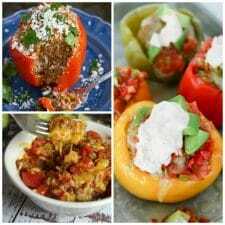 If you serve your salsa pork with low-carb tortillas, over cauliflower rice, or in lettuce wraps, any of these recipes can make a low-carb meal! The options for this tasty meat are endless so just let your creative juices flow and get cooking! And if you’re looking for a Taco Tuesday dinner for tomorrow, don’t you think Salsa Pork Tacos sound delicious? All photographs here are copyrighted to the blog that posted the recipe. Just click the recipe title under any photo to see the full recipe on the original blog. And if you try one of these easy recipes for Salsa Pork please come back and tell us how you liked it! 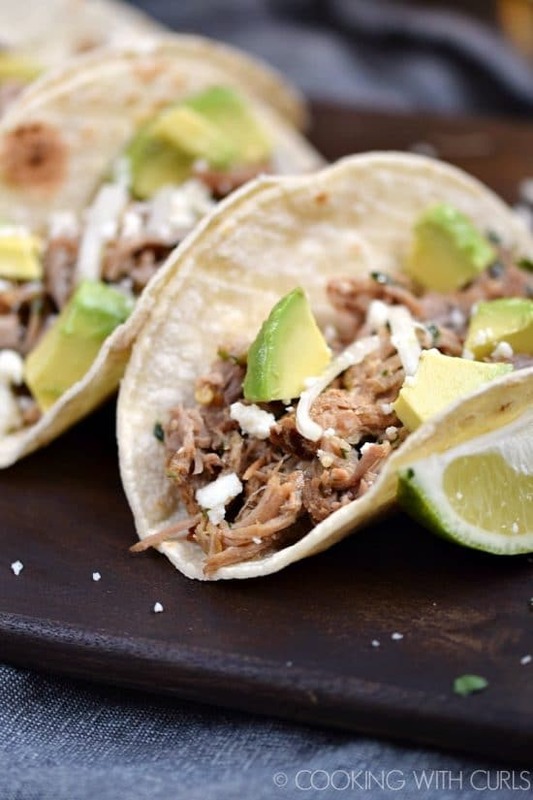 Slow Cooker Salsa Pork from Taste and Tell sounds like an easy dinner idea. The boneless pork roast is trimmed and placed in the slow cooker, then it’s cooked in salsa verde and chicken stock with some onion, tomatoes and cumin. 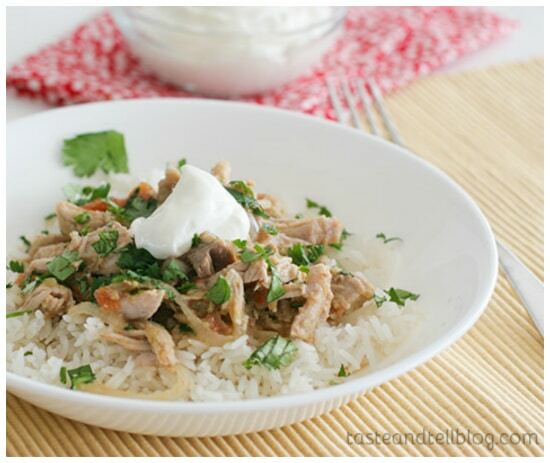 When the pork pulls apart, the sauce is reduced on the stove and the flavorful pork mixture is served over rice with cilantro and sour cream to garnish as desired! Instant Pot Salsa Verde Pork from Cooking with Curls is easy enough to fix any night of the week and is loaded with flavor. With just five ingredients and ninety minutes in the Instant Pot you can create this yummy Salsa Verde Pork that can be served in so many ways. Use it to stuff tacos, burritos. 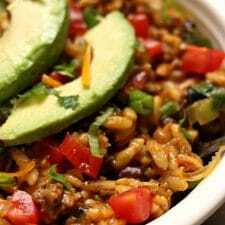 tamales or enchiladas; serve over rice or cauliflower rice, or top a colorful green salad. Sounds delicious! These CrockPot Salsa Pork Chops with Cumin, Lime, and Garlic from Kalyn’s Kitchen are tender, Southwestern flavored pork chops in a sauce that is just slightly spicy. Made in the slow cooker these pork chops can simmer for several hours while you are busy doing other things. 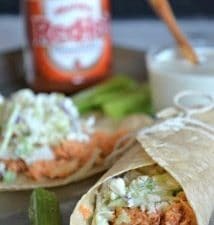 They are tasty served with a green salad or would be delicious with Spicy Mexican Slaw for a low-carb meal. Use the Index Page for Pork to see all the slow cooker or pressure cooker pork recipes that have been featured on this site.